Last week Sarah (my teaching partner) and I introduced the water cycle to our students. On Tuesday we started with a Padlet wall to see what our students schema was about the water cycle. From the Padlet we were able to determine that our students did not have a lot of background knowledge on the topic. 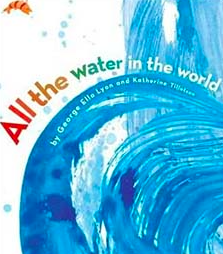 Sarah then read the story All the Water in the World and made another padlet with all the ways that we use water. the students helped me write down their thoughts, questions and connections on the right hand side of the chart. 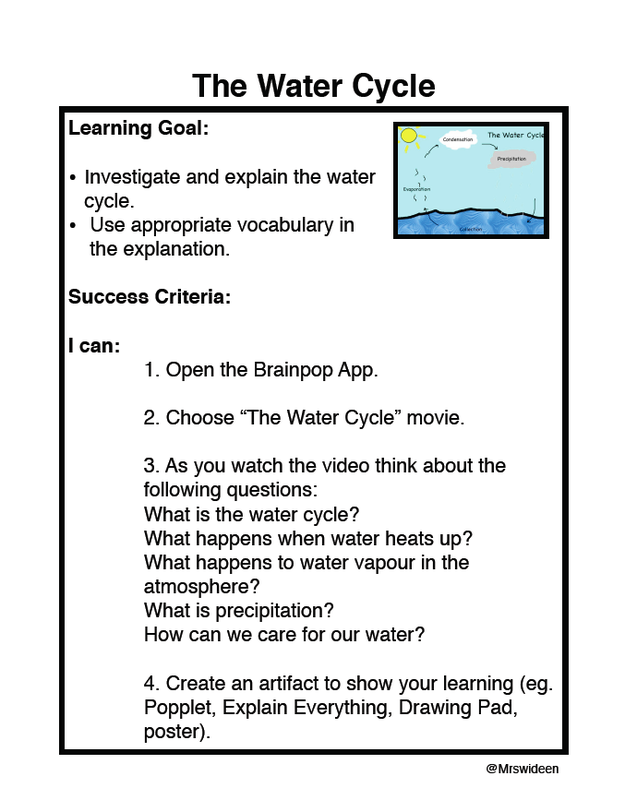 I then handed out a task sheet with the questions I wanted answered from watching the water cycle video on Brainpopjr. After the students made their notes on each question, they were asked to create an artifact showing their learning from their research. We talked about how they could show their learning. Some of the responses were to use Explain Everything, Sonic Pics, iMovie, a poster, act it out, etc. How do I keep track of all the different projects, you ask? While the students are working, I circulate the room and jot down their choice on how they want to share their project. I also placed a QR code on the task sheet. The QR code takes them to a Padlet wall where they can upload their work. If they create a poster or something that is not digital, they take a picture of their work and upload that to the Padlet wall. 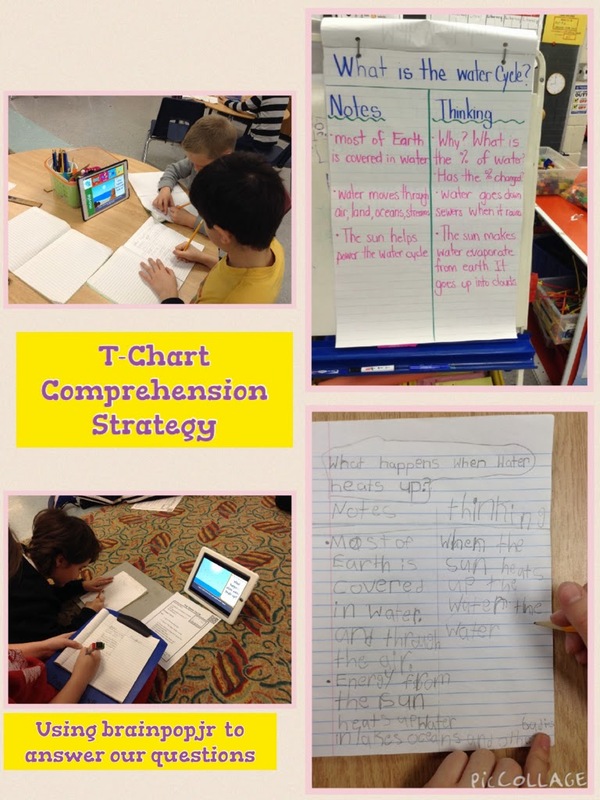 Therefore, all of their work is stored in one place where I as their teacher can assess it and where their peers and parents can see it and offer feedback. As I write this post, my students are still working on their projects, but here is the Padlet wall where you will see their projects appear as they finish them. Using this next year! Great idea and tech/student friendly! Great post! I love all the ways you incorporated collaboration and use all the techie tools seamlessly with your students. Thanks for sharing! What a great way to integrate technology and clever way for students to upload their work without having to use a separate app. What is file limitation size For uploading to Padlet? The file limitation is 25MB, if the students have a longer video to upload, they upload it to youtube and insert the link.